When we start our diving lives, all our training and scuba dives take place during the day (for obvious reasons) but as we advance and get more comfortable in the water, why be limited by daylight hours. Night Diving is one of my favourite types of scuba because you get to see many different creatures and critters that just don't come out in the daytime. Even a dive site that you may have dived a multitude of times during the day can seem completely new to you when dived at night. The creatures you see during the night are often much braver at night than during daylight hours. In the daylight, many sea animals will flee before scuba divers where-as they tend to just go about their business in torchlight. So what do you need for a Night Dive? It not much different to diving during the day. You can use all your usual diving kit for a night dive as for a dive during the day but with a couple additions. The first, and probably most obvious, is the need for a light. Most night divers will have 2 dive lights in the water so if the main light (primary) goes down for some reason, you have a back-up available to allow you to surface safely. Strobes are also a good idea for night dives. These can be attached in various places but are generally used to mark your exit. We always leave at least one strobe to mark the mouth of the bay or the turning point for the dive site's exit. If you are diving from a boat, you can mark your shot line with light sticks and, if needed, mark the depth of your safety stop with a different coloured light stick. You should also, always choose a dive site that you have dived during the day, so you know the site and can navigate without getting dis oriented. plan and organise Night Dives, special night diving techniques, night time communications and how to deal with any potential problems when night diving. Night Diving is worth the extra hours on the day. You will see a different world and different animal behaviours that you just won't see if you only go scuba diving during the day. So, charge those torch batteries and get ready for an adventure you won't forget! Besides the obvious (that we need Oxygen to live and it is in the air that we all breathe, under water and above) why do we need to have Oxygen for every Dive we make. are pretty low, can Dive Centres and Diving instructors be forgiven for not having emergency Oxygen with them on every Dive they make? Before we go on to discuss this issue, have a read of this Article from DAN about a 14 year old boy who had a diving incident in Malaysia where no Emergency Oxygen was immediately available. Oxygen Administration is the recommended first aid for the majority of Scuba Diving Incidents ranging from; Decompression Sickness & Arterial Gas Embolism (Decompression Illness) to Near Drowning. Research has shown that the earlier 100% Oxygen can be given to a patient to breathe, the less severe and damaging the Injuries are likely to be. Of course, the first step is to Identify and recognise that there is a problem, so let's have a quick look at some of the signs and Symptoms that may indicate Oxygen is Needed. There are no definitive tests or unique signs to confirm DCS "in the field" and many of the symptoms are similar to those of other illnesses but if you suspect a Diving Incident, your first step should be to administer Oxygen. Oxygen is a life sustaining, essential gas. Although it does become toxic under higher Partial Pressures (below 6metres underwater), it is required for life in normoxic levels. In a diving injury, bubbles that can form on ascent can block the blood supply to the body tissues, leading to damage and/or obstructions to Gas Exchange ie Oxygen reaching the tissues. We administer 100% Oxygen in any Diving incident because it allows a higher concentration of Oxygen to enter the body, altering the pressure gradient for gas exchange and facilitating Inert Gas (Nitrogen and Helium) removal. The Oxygen can also help to decrease the size of any bubbles that may have formed on ascent, Oxygenate the Hypoxic Tissues (ones that weren't getting enough Oxygen to survive), ease breathing and relieve Symptoms. There are also results to suggest there is a lesser risk of residual symptoms after Hyperbaric Treatment when Oxygen is administered early because the increased levels of Oxygen have prevented further damage being caused to the tissues by bubbles and hypoxia. So, as you can see, having a supply of emergency Oxygen should be on every pre dive safety check list. Every Dive Centre and Diving Instructor/guide should have a sufficient supply with them to ensure that they can administer Oxygen First Aid, if needed, as soon as possible. The supply should be sufficient to allow the patient to continue breathing 100% Oxygen until emergency assistance arrives or you can reach the nearest hyperbaric treatment centre. There have been several instances where our emergency Oxygen has been used on Dive Boats because Divers do not have their own and while I do not know any divers or diving centre that would withhold Oxygen from someone who needs it, it isn't acceptable to rely on someone else to provide it. 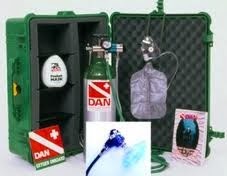 If every Diver relies on another diver to supply Emergency Oxygen, there will come a time when there is none available! So, when you plan your next dive trip, don't forget to make sure there will be Emergency Oxygen First Aid available on every boat, in every truck/vehicle and someone available who knows how to operate it. If in doubt about a Diving Emergency, you can call the Divers Alert Network Emergency International Helpline and they can assist you with the steps you need to take and to find the nearest treatment centre. Keep this number with your emergency Oxygen and take it on every dive. 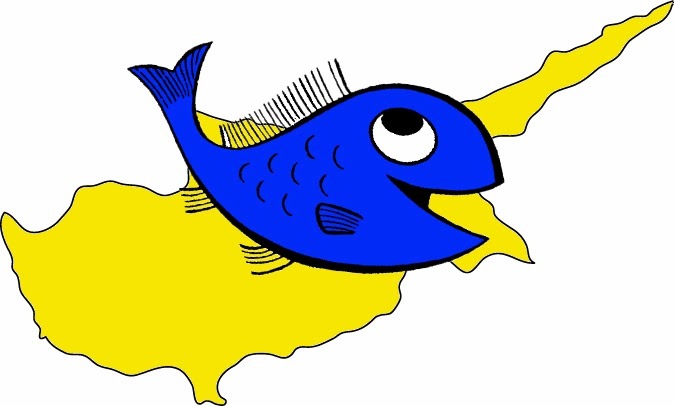 Try Diving in Cyprus- What's involved? Although Scuba Tech Diving Centre covers a lot of Technical Diving and Rebreather Diving, it is still important to remember that all divers have to start somewhere...and that somewhere usually comes in the form of a TRY DIVE! Cyprus is a great place to try scuba diving for the first time because the conditions are so easy. There are no real tides to speak of, the water is warm and the visibility can be 40metres +. So what is involved in a Scuba Tech try dive in Cyprus? Once you have decided that you want to try scuba diving, we will pick you up from your hotel or villa in Protaras or Agia Napa and bring you to our Diving Centre, where you will be shown the basics of Scuba Diving and be fitted out with a set of Scuba Equipment. Once we are confident that you are ready to go diving, we take you down to our local dive site, Green Bay. This dive site is fantastic for try dives, as there is an easy walk in entry/exit point and, although it does have a 10metre (33 feet) maximum depth, the depth increase is extremely gradual. You can stop and swim around at whichever depth you feel comfortable, whether that is 2 metres, 6 metres or, for the adventurous, 10 metres. Before we venture off on our first scuba dive, we do like to go through a couple of basic exercises with our divers to build a bit of confidence and give you some experience in the shallows before moving deeper. So, we practice taking the regulator (the bit you breathe from) out of your mouth and putting it back in while underwater and clearing little bits of water out of the mask. Of course, you will have your instructor by your side at all times throughout the skills practice and the scuba dive itself. There is a maximum number of 4 student divers per instructor but we always try to have a Divemaster (diving instructor's assistant) in the water too, particularly if scuba divers would like photographs and video of their dive in Cyprus or there are more than 2 student divers in the water. When you dive with Scuba Tech Cyprus, we like to give you great value for money, so your dive time is only limited by the air in your cylinder and your comfort in the water. Some of our try dives have been 60+ minutes. You can try Scuba Diving in Cyprus from 8 years old. There is no upper limit but there is a medical questionnaire that must be completed if you want to dive ( you can get a copy of this by emailing info@scubatechdivers.com). If you have to answer yes to any question on the medical questionnaire, ask your doctor if you can scuba dive before you come to Cyprus and get him to sign the "fit to dive" declaration provided. 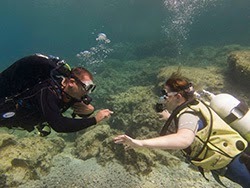 So, if you fancy a Mediterranean holiday with a scuba diving adventure, get in touch with Scuba Tech Diving Centre. Feed the fish, find our underwater Atlantis and experience the weightless excitement of Scuba Diving. Are you ready... Take a Deep Breath!!! Artificial Reefs- What are they and Why do we want them? Happy New Year to everyone reading the Blog. We hope 2014 is going to bring prosperity and good health to you all. Things have started extremely well here in Cyprus with the Sinking of another Wreck to create an Artificial Reef (ok, so it went down on 20th December 2013 but who's counting?). and fish life alike. However, the area was never closed off to fisherman, and as fast as the fish came in, they were swept back out again. Now the Nemesis III has been sank in the same area and there is talk of a no-fishing zone being established around the wrecks to create a marine park, hopefully protecting the fish until they reach maturity and start to spill over. What is an Artificial Reef and Why do we want them? An Artificial Reef is defined as "any human made underwater structure". They are usually made to promote fish life, control erosion etc. and although many people consider them to be relatively new, there are examples of Artificial Reefs being created by the Japanese back in the 1600s. 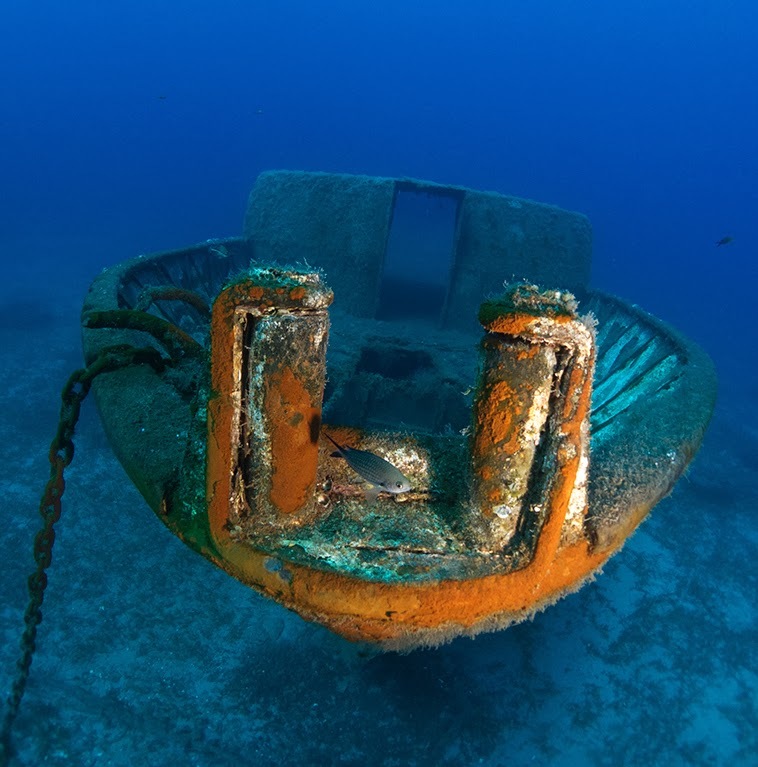 There are many objects that can be used to create artificial reefs but usually, they are items that are built but no longer fit for another purpose such as; cars, rigs and boats. The benefits of the Artificial Reefs vary from economic to social to environmental. Environmentally, an artificial reef can help to calm waters and influence currents, creating shelter and protection for fish life. It also serves as a visual reference for fish as they forage away from the reef itself. 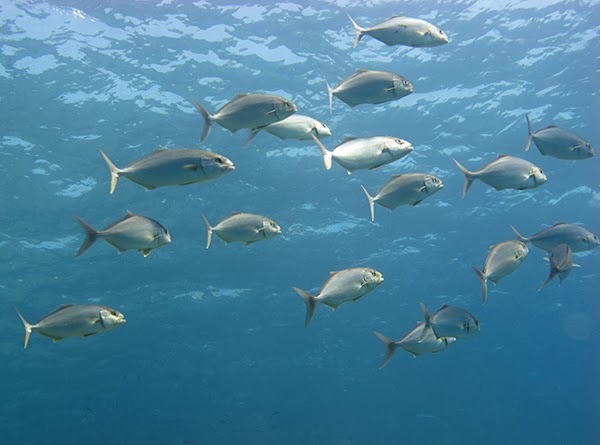 The development of the reef usually begins with the attraction of smaller organisms (barnacles, algae, sea squirts, bait fish) and the presence of these gradually attracts the larger pelagic fish. This in turn allows the rehabilitation of stressed natural habitations and can help to boost many fish species. Socially and economically, the presence of artificial reefs can help to create jobs and funding in the area. As an example, Plymouth in the Uk saw an annual increase of over a million pounds in the local economy, supporting jobs and tourism. The fishermen also benefit, as when the fish populations increase, there will be more catch. This must be done responsibly and sustainably though, so we would hope for a no fishing zone implemented and enforced around the reef to give the fish the opportunity to grow and mature. In fact, the only dis-advantages of artificial reefs seem to arise when they are not implemented correctly (reef item is light enough to be carried away by tides and cuurents or not cleaned correctly). So, the pros are clear to see. Particularly in an area such as Cyprus where we have such a wide variety of fish life that is stunted by over fishing. For us Divers, any new underwater playgrounds with fish we can gaze at with envy as they swim gracefully with ease through the ocean, are a bonus where we could spend hours, if we could. Let's hope the authorities see the benefit of the no-fish Zone around our new Wrecks and Reefs and police the area while continuing to add to the great work they have started.